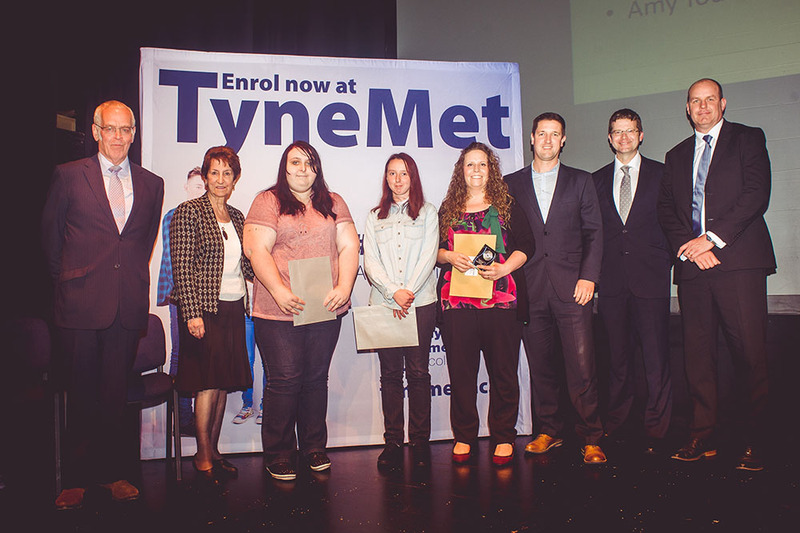 Student Achievements were celebrated at Tyne Metropolitan College Student Awards held on 30th June 2016 at the Whitley Bay Playhouse Theatre. Calvin has been a long term volunteer with DLS Falconry, who work in partnership with the Rising Sun Farm. Over the past year Calvin has progressed from handling and training the birds to working face to face with the public at parties and events. Calvin has excellent photography skills and has a website to showcase his pictures, and he has recently expanded into wedding photography, and now has his first booking. Chloe is a very pleasant student in the class, always helpful and willing to work. Chloe has been volunteering in the college restaurant as an addition to her catering option. This has been a great help to the restaurant staff during a busy service, and Chloe is making the most of the opportunity to develop her skills in all aspects of service. Chloe has also worked really hard to pass her Level 2 Functional Skills English, and was winner of the Student of the Term in the first term. Chloe is hoping to be accepted onto the Level 1 catering course. Amy has continued following her passion for cooking from her school days by choosing to study catering as her optional career path each week in college. Amy is working hard to improve her knowledge and skills set to increase her employability prospects in what is a very competitive industry. Amy has taken an active part in organising and raising money for her peers so that they could take part in the British National Sports final and organising events to support Guide Dogs for the Blind. Amy is progressing onto the Preparing for Employment course in September. Congratulations to all the award winners and Tyne Metropolitan College on a successful event.